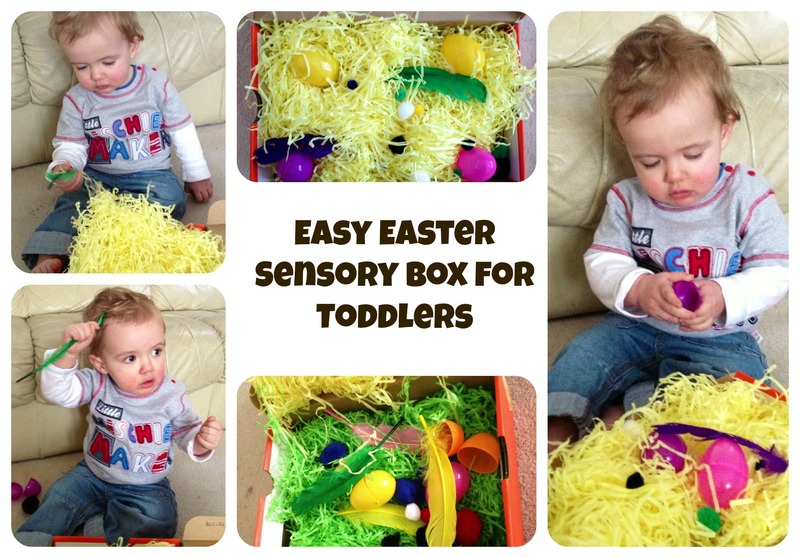 This entry was posted in Easter, Sensory Activitiy, Thomas, Toddler Fun and tagged Easter, Sensory Acvtivity, Thomas, Toddler Fun. Bookmark the permalink. Hi Jo! I had to finally say hi as I have been reading for a little while and enjoyed your blog. Thomas looked SO handsome at his Christening. I have a 2 year old, Drew, and let me tell you it just gets more fun everyday! Anyway, wanted to let you know that I’m your newest follower and hope you’ll join in our link party going up Thursday to show off the little guys Easter Basket! Can’t wait to read more and hope you’ll follow back. Once I hit 300 followers, my good friend, and Stella and Dot consultant, will be doing a giveaway to my readers! These are such a great idea. I made one up and mix in with it sweets, small bunnies and clues for the large eggs so all my children could join in. It went really well. You put some great stuff in your box too! Thanks for joining in with the spring carnival. A great alternative to chocolate!